I have just emerged from a year-long immersion course in Te Ara Reo Maori at the Lincoln Road campus of Te Wānanga o Aotearoa, exhausted and elated, appreciative of my new understandings, skills and inspiration. 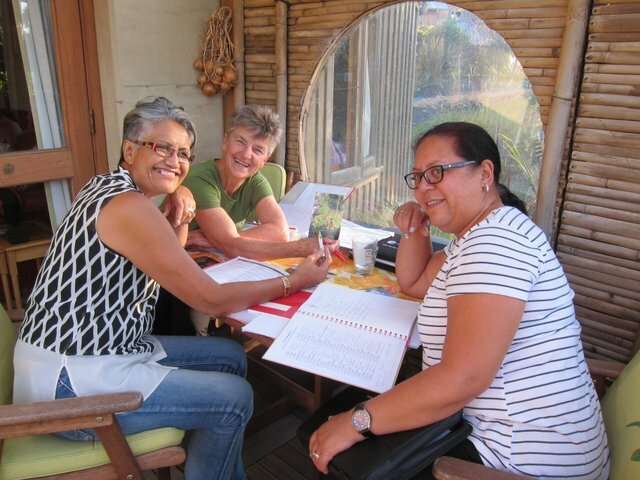 I’ve been immersed in, but also “on the edge of”another way of seeing the world, as a retired 71-year-old lesbian Pakeha amongst two dozen Maori whānau members ranging from 6 months old to 76-year-old kaumatua, from many different backgrounds. 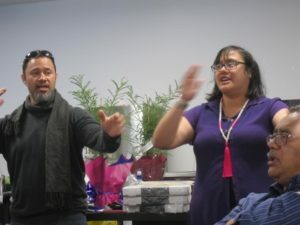 Our inspiration for hanging in when the course became too challenging was our main pouako, Maria-Pare Te Whiu from Tai Tokerau- a passionate, warm, funny, articulate, down-to-earth linguist and beautiful singer, who urged us on every night. Maria-Pare, ably assisted by Greg, exemplified at its best TWOA’s holistic approach to learning, which I loved – each week in our two 3-hour classes we had a mix of karakia, waiata, games, Maori tai chi, impromptu discussions, group work, debates, mihimihi, whanaungatanga, assessments, grammar, homework and food – and received a bundle of new written and oral resources. 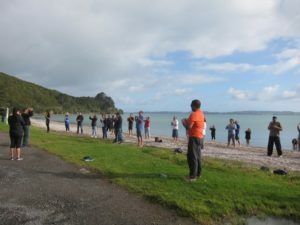 In addition, we had four 1-day Wānanga and two 3-day Nohonga, one at Umupuia Marae and the other at Te Kura Kaupapa Māori o Te Kōtuku, Rānui. Our course culminated in each of us having to present a 20-minute seminar at the end of November , in Te Reo, on the topic “He aha o whakakitenga mo ngā uri whakaheke?” (What are your dreams for future generations?) . I strongly recommend Te Wānanga o Aotearoa courses, which are widely available throughout Aotearoa: //www.twoa.ac.nz/ Courses and resources are free. Congratulations Tanya, I have loved doing the TWOA courses Mauriora and Te papa tikanga, but although I’ve done various courses in te reo I find it all slips away from my ancient brain now.I am sure immersion is the thing, but you have to use the language daily to keep it mainly. I still can listen!